NEA research director Suyin Iyengar posted an interesting report today. It’s really a “report on a report” by the Arts Council England about online engagement with arts and culture. The report indicates that 53% of people online “used the Internet to engage with the arts and cultural sector.” Iyengar points to a very similar result from an earlier NEA report that found that “53 percent of all American adults participated in the arts through electronic or digital media.” This means that a higher percentage of Americans participate in arts and culture through electronic or digital media than voted in the 2010 elections, which had approximately a 42% turnout. I’m not sure (yet) what this means, but I have a feeling it’s important for more democratic participation in the arts. Iyengar notes that “people use digital media primarily as a complement to, rather than a substitute for, the live arts experience.” Yet, only 15% of that online audience also attended a live event. That means the vast majority were in the privacy of the homes or offices listening to or watching audio or video streams. As more “live” art becomes available online, will it mean that people are even less likely to leave the house to attend the live event? By extension, does it mean that people will participate less in other social interactions, such as voting? 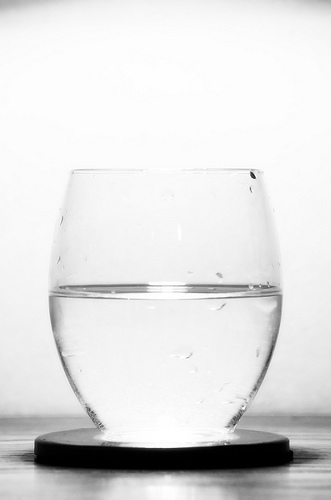 For now, it looks like the glass is half full at 53%, but it may instead be half empty. This entry was posted in Arts funding, arts infrastructure, Arts policy, Culture and democracy, Technology and arts, Uncategorized and tagged Arts Council England, Arts funding, arts policy, Culture and democracy, NEA, Technology and arts. Bookmark the permalink.